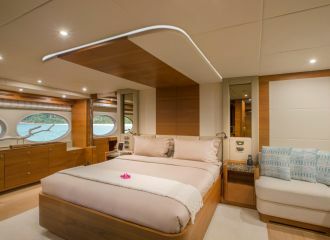 This recent Majesty 105 yacht offers fantastic features for a yacht of her size including a number of relaxing, sunbathing and dining areas, a gym, a hydraulic platform, a full-beam master cabin and stabilisers for the best experience on board. 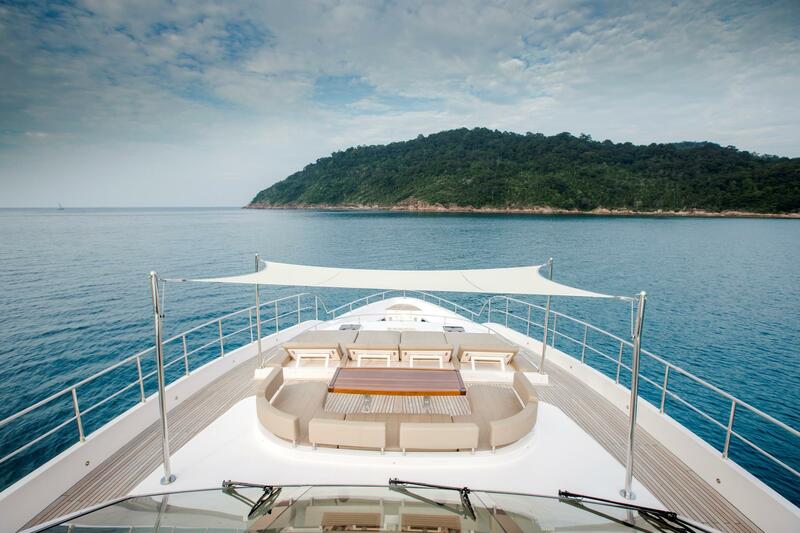 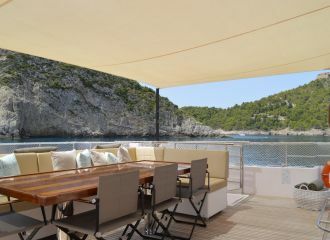 The expansive flybridge complete with sunpads, bar and jacuzzi is a favourite amongst charterers. 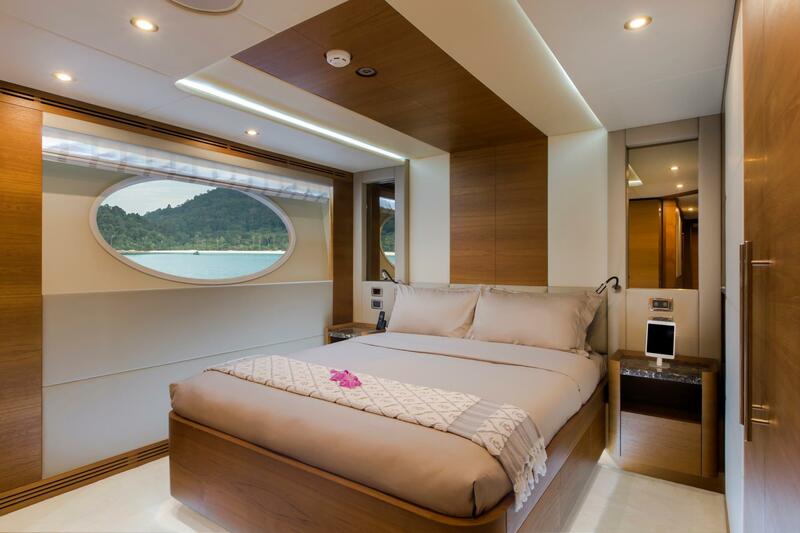 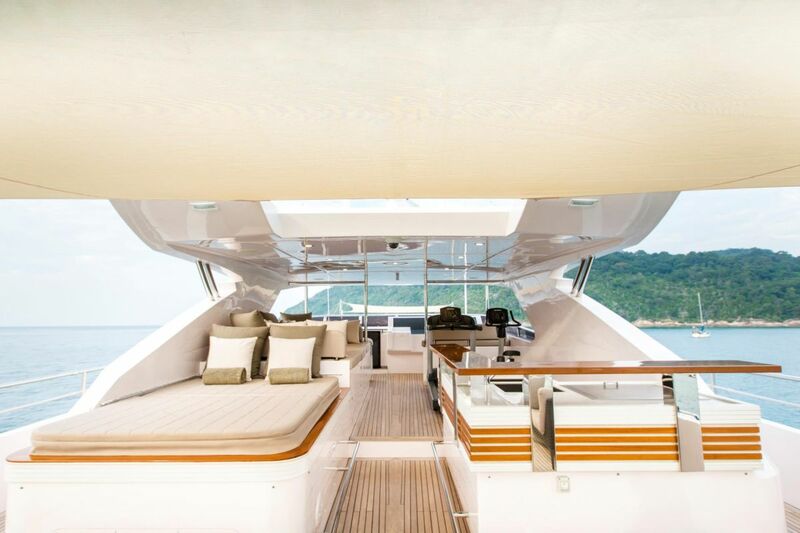 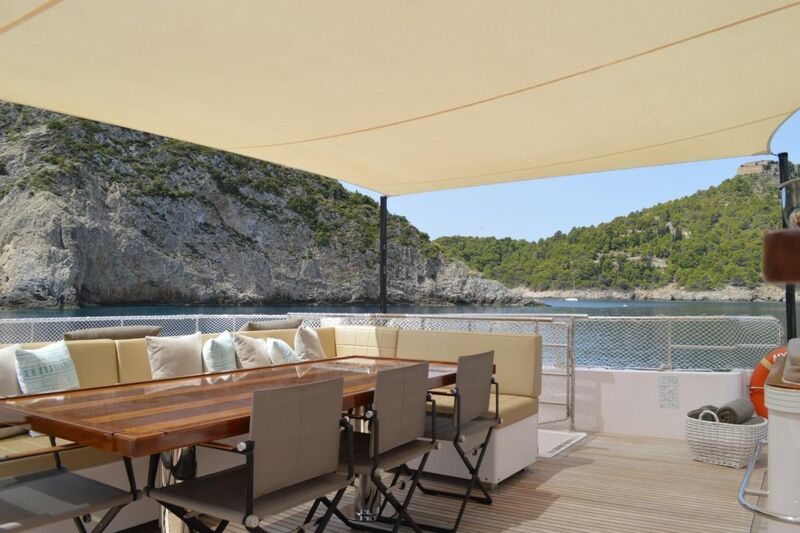 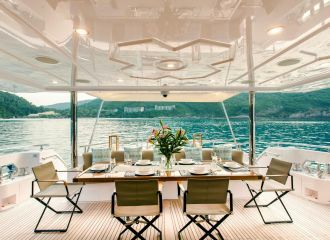 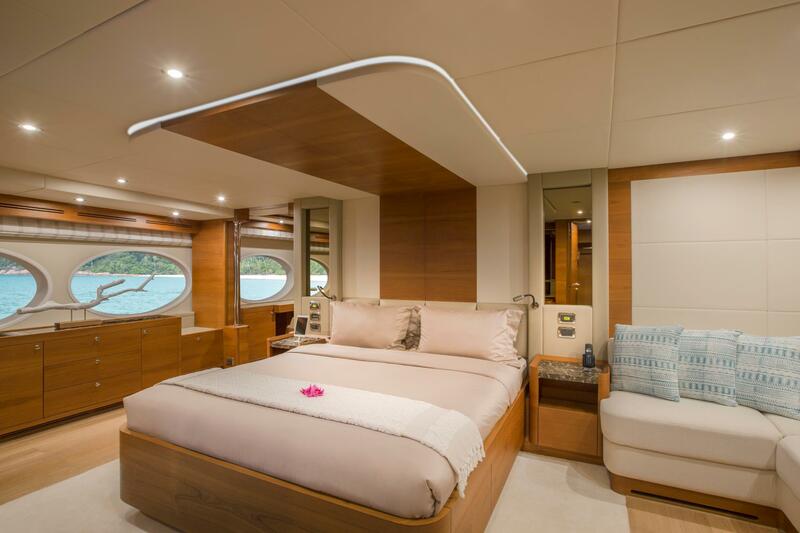 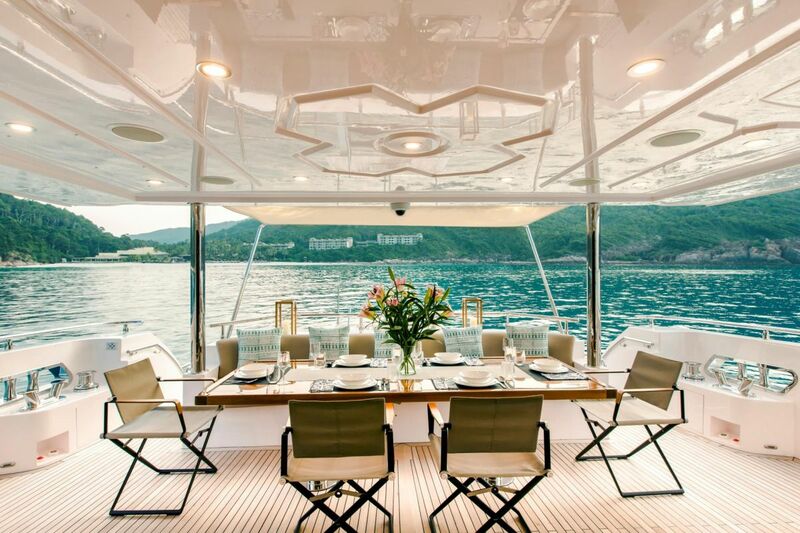 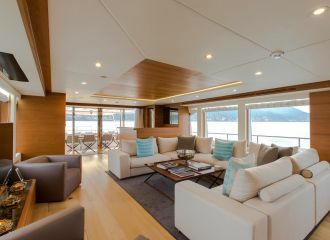 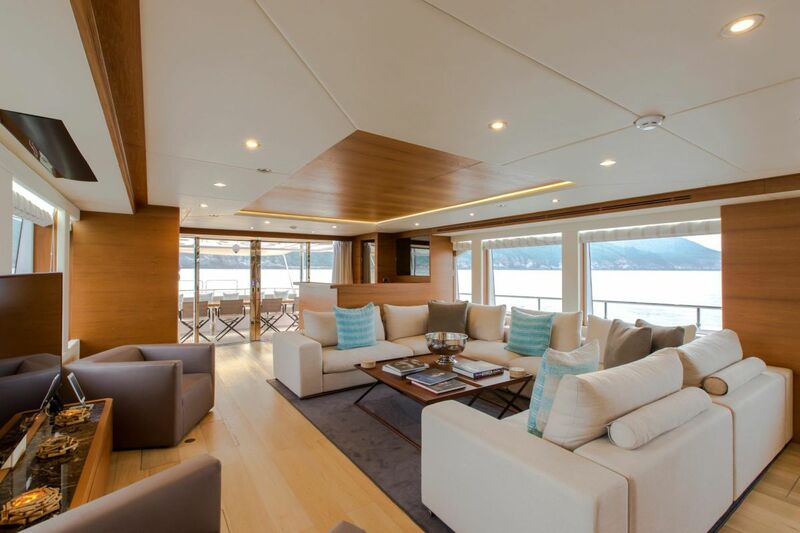 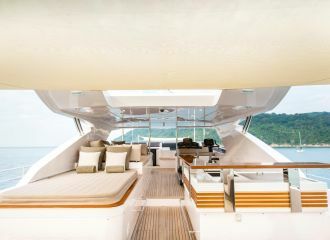 This 33m Gulf Craft yacht can accommodate up to 10 guests in 5 cabins: 3 double and 2 twin, all en-suite. 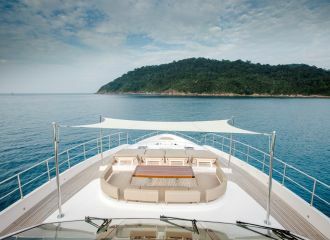 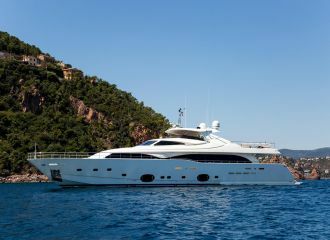 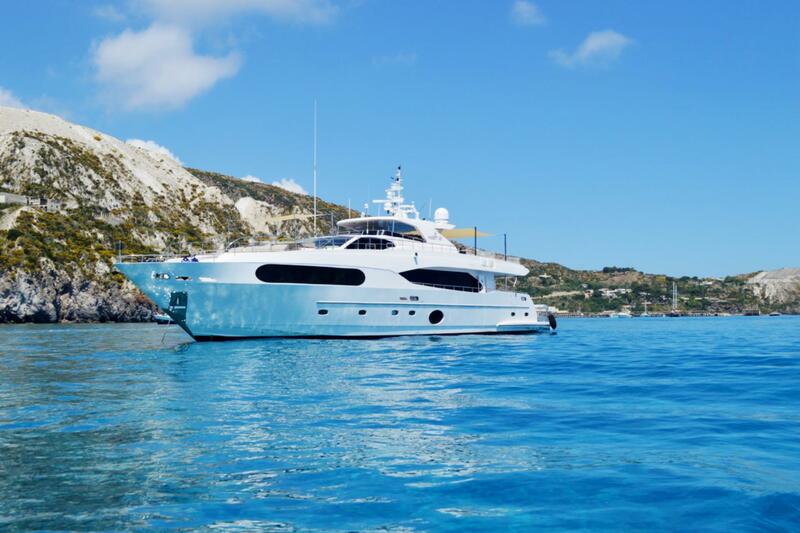 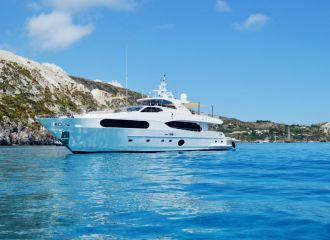 The yacht is currently available for a yacht charter on the Italian Riviera and in the south of France. 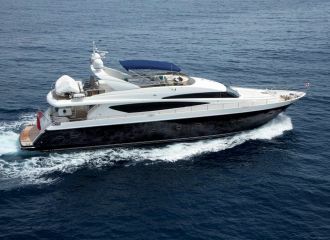 total 14000	€ Excluding VAT and APA ?